Q: Why My iPhone 6s Battery Suddenly Draining? Why is my 3 year old iPhone 6s battery suddenly draining? Just recently my iPhone 6s battery has started draining all at a sudden after updating to iOS 12. I kept it on standby overnight starting at 100% and in the morning it was at 1%. Can anyone help me fix this issue? In 2017, many users reported that a huge number of iPhone 6s devices may unexpectedly shut down and severe battery draining all at a sudden issue. Even though Apple claimed that this issue only affects devices within a limited serial number range that were manufactured between September and October 2015, this impact still causes great inconveniences and disturbances upon iPhone 6s users. For iPhone 6 and later, iOS 11.3 adds Battery Health - a new feature to show battery health and recommend several recommendations for iPhone 6/iPhone 6s battery draining issue. However, recently there’s a growing number of iPhone 6/iPhone 6s users have taken to Apple’s support forums to complain of excessive battery drain since updating to iOS 11.4/iOS 11.4.1/iOS 12 beta. 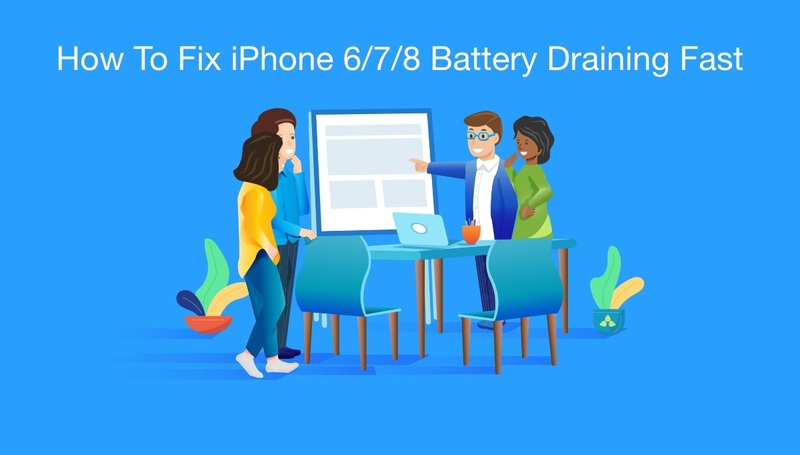 If you've run into the same problem, follow this troubleshooting article to learn top 10 fixes on your iPhone 6/iPhone 6s battery draining all at a sudden issue (Learn How To Fix iPhone Stuck At Recovery Mode Issue). First up, pre-check if your iPhone 6s/iPhone 6 battery is defected by observing the behavior of charging. Weak iPhone 6s batteries will charge faster and drain faster. If you notice that the charging time is way less than it used to be, you can almost be sure that it is time to replace the iPhone 6s battery. Otherwise, it’s likely that you can fix this iPhone 6s battery draining fast issue by tuning up the following software glitches. 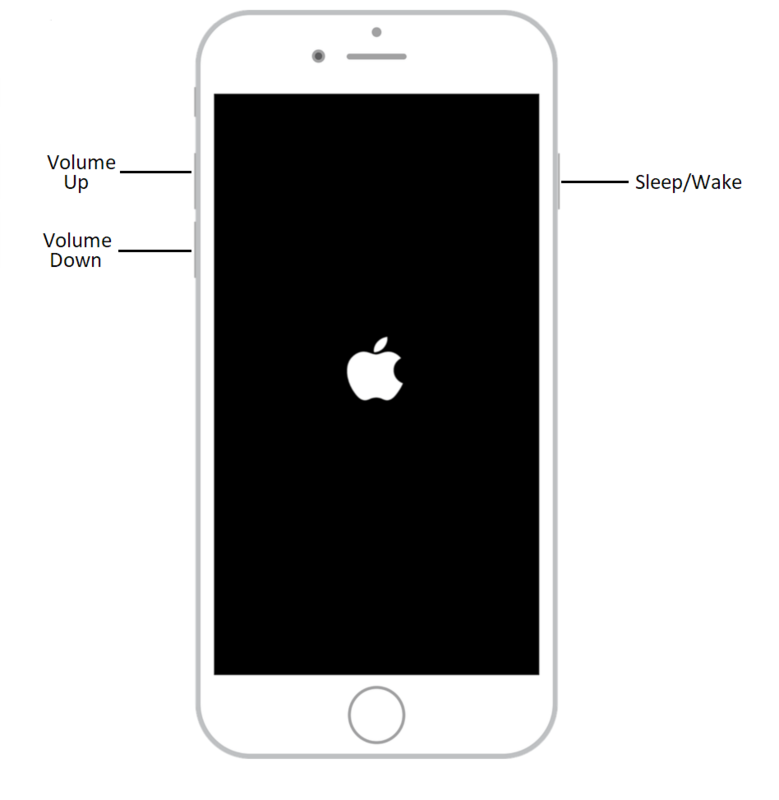 Once you see any inappropriate battery behavior on your iPhone 6s/6, just stop using it! As you stop operating the device, it’ll immediately have an impact on the battery usage. The consumption rate will drop down drastically, and it’ll also prevent your device from overheating issues. In iOS 11.4.1 and iOS 12, your apps now have the ability to refreshing itself which means it will consume more power when in background. So, this tip should be your next step to prevent further battery drain on your iPhone 6s/iPhone 6. 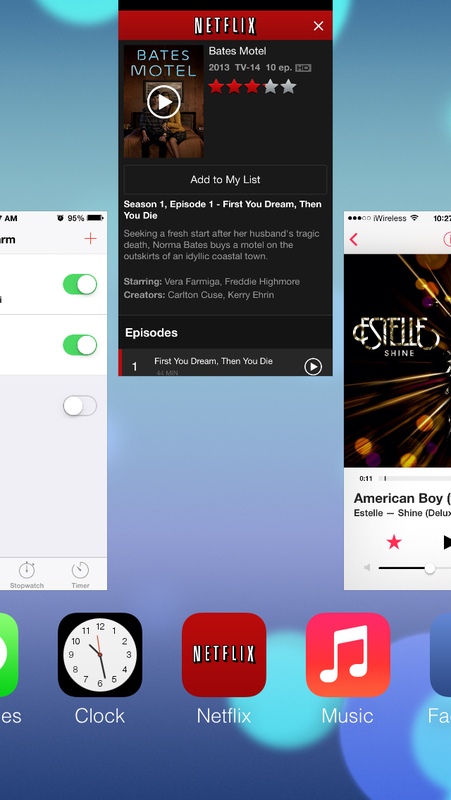 To close all background apps, double press the Home button > Swipe up to remove the inactive apps from background. If you found your iPhone 6s/iPhone 6's battery is draining suddenly without any reason or hint, you should try to restart the iPhone. 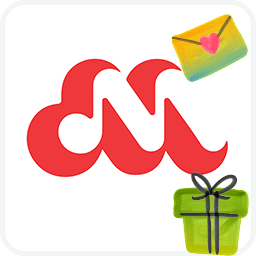 When you restart your phone, it stops all processes on the system and prepares the devices for the new beginning. Once the device is up and running, examine the battery performance for a day and follow some other tips if required. The Low Power Mode on iPhone 6s/iPhone 6 is a useful option to cease your iPhone battery draining fast. To turn Low Power Mode on or off, go to Settings > Battery. You can also turn Low Power Mode on and off from Control Center. Go to Settings > Control Center > Customize Controls, then select Low Power Mode to add it to Control Center. The Airplane Mode in iPhone 6s/iPhone (iOS 11/iOS 11.4.1/iOS 12) disables all network related services that allow us to connect with the world. It will turn off the carrier access, cellular services, Bluetooth, and Personal Hotspot on your iPhone. So this is another way to reduce the burden of your iPhone's battery. To enable Airplane Mode on your iPhone 6s/iPhone 6: Open Settings > Tap Airplane Mode to turn it on. The Location Services in iPhone 6s/iPhone 6 (iOS 11/iOS 11.4.1/iOS 12) also causes large and negative impact on the battery life. By sending and getting your accurate geolocation data, the apps that require Location Services will dramatically increase the battery consumption. 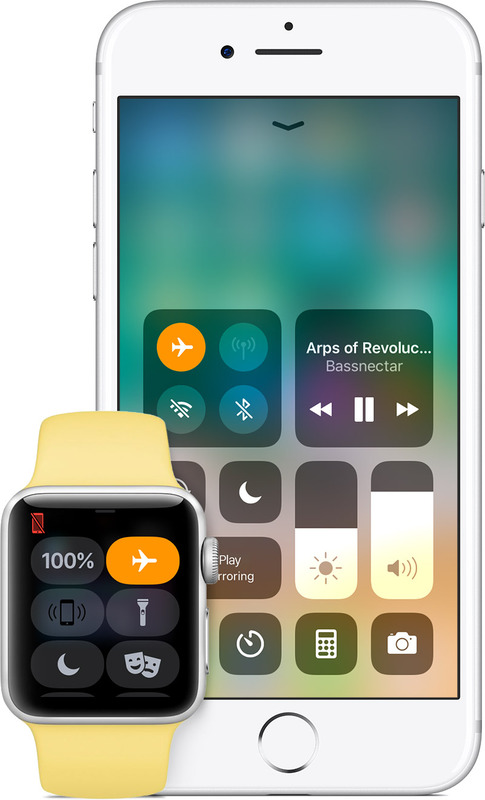 On your iPhone 6s / iPhone 6 / iPhone 7 / iPhone 8, iPad, or iPod touch, open Control Center from the Home screen, then tap iPhone Airplane Mode icon. You can also go to Settings > Airplane Mode and tap the slider to turn it on. 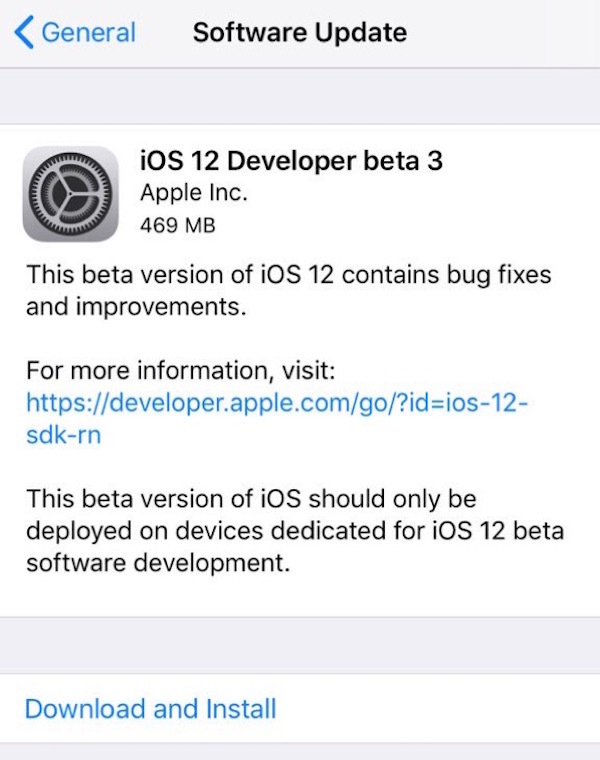 The notification system in iOS 12/iOS 11 uses intense networking services to receive latest updates from apps, to get messages for SMS, iMessage or other third party apps. And as you know, many news apps and social media apps thrive on a continuous supply of notifications on mobile devices. So when you find your iPhone 6s/iPhone 6 battery is draining fast all at a sudden, you can keep it a bit longer by temporarily disable Notifications. To do so: Open Settings > Tap Notifications > Tap any app from the list and select the Allow Notifications option > Disable the notification alerts as you want. If you’ve tried all the above iPhone 6s/iPhone 6 battery draining fast tips but still have no improvement, you should consider performing the Reset All Settings option. It's not the best thing to do, so do think create solid backup on your iPhone data before wiping them out. 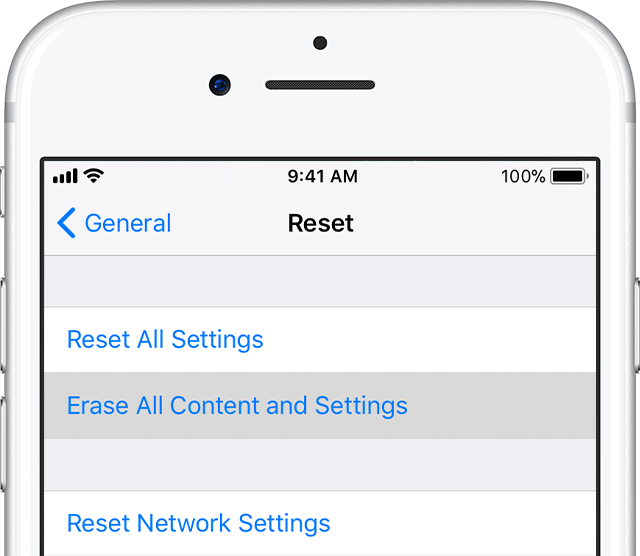 To reset your iPhone 6s/iPhone 6: Open Settings > Select General and go to the Reset section > Tap the first option, that is, Reset All Settings > Enter the passcode. Have you fixed the iPhone 6/7/8 Battery draining fast all of a sudden 2018 with our suggestions above? The other way that helps to fix this iPhone problem is by using Fix My iPhone. It can help you Exit/Enter Recovery Mode with easily, download and install the latest firmware package to fix Apple logo stuck, and repair iOS system to fix iPhone black screen issue even without losing data. Coming this August, Stay tuned!